The Hoch team was challenged to create all new Interior Finishes throughout the facility while the Physicians at Fort Wayne Orthopedics continued to deliver medical care to all the patients. Our design team created a new patient entry, patient registration area, patient waiting, refreshment center, updates to all 51 exam rooms, corridors. To complement the new finishes, new light fixtures where added along with seating, furniture and new signage. 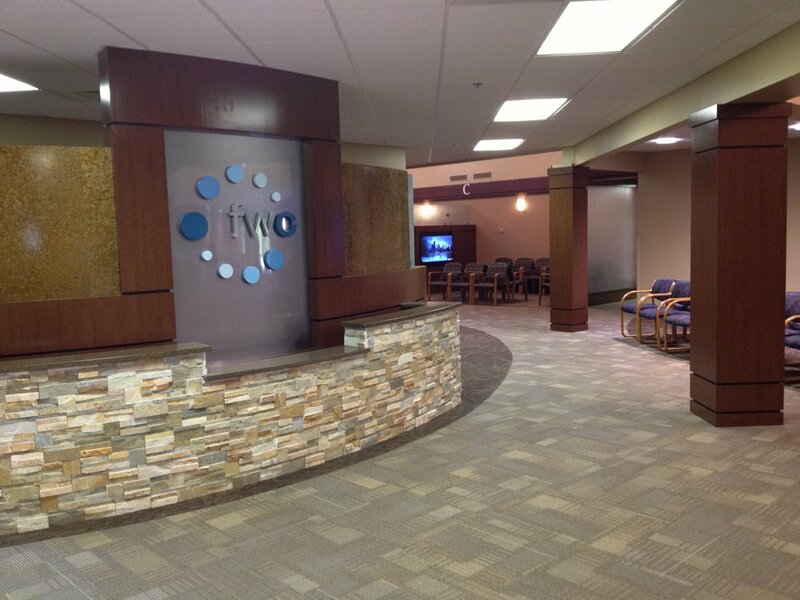 With the success of the renovation Hoch returned to the Jefferson facility to design a new area for FWO. The OrthoStat Clinic was designed to work within the former business office which included eight new exam rooms, cast room, nurses station and dictation spaces.